The Red Line Oil Kart Championship busts open the doors to the Fall season with anticipated eagerness as it approaches the last third of the 2013 racing season at the Simraceway Performance Karting Center. Entering the final push for the championship, many drivers will be racing hard to secure results after a long point’s battle. This upcoming race will feature the super fast Reverse National track configuration, which will challenge the driver’s abilities with its lengthy “downhill” straight where the karts will reach some incredibly high top speeds. Stock Honda Masters will be the GoPro feature race, giving drivers more of an incentive to put pressure on the current point’s leader Jim “The Kidd”. In the Sanzaru Rotax Challenge, the competition remains heated, especially with the Senior Rotax class. Jarrett Lile holds currently a commanding lead over Daniel De La Calle; along with a tight battle for 3rd between Carlos Calderon, Tazio Ottis and Ali Manning. With five feature wins, Michael Avansino holds a solid lead in the JMJ Motorsports Junior Rotax class. The real battle though, wages in 2nd through 5th, with Jaden Conwright still holding 2nd in net points followed by Annie Breidinger, Enzo Prevost and Michael Michoff. Following Rotax Masters, Scott Ripslinger still retains a small lead at the top of the class with a tight battle for 2nd between James Dix, Geoff Wise and Jeff Smith. In Micro Max, Dustin Saliverria holds a 40 net point lead over Aiden O’Neill, followed by Gino Sandoval and Ethan Tavares. All in all, the Mini Max class has the closest point’s battle, with Horatio Fitz-Simon holding a 20 net point’s lead over Tomas Mejia followed by Matteo Sandoval and Colin Mullan. This next race will determine which drivers of the Mini and Micro Max classes will be invited to the much anticipated NOLA Micro – Mini Max Invitational, soon to be held at the New Orleans track from November 13th to the 16th. The fortunate recipients of these invitations will be determined by the current standing point leaders. Based on the best 7 out of 8 races run to date, i.e. one throw away allowed, excluding DQ’s which can not be terminated. The results of the standing points leaders, after this upcoming race will be awarded with an invitation to this large scale event. At this moment in time the chase for the Invitational is lead by Horatio Fitz-Simon with 1255 points and Tomas Mejia behind him with 1150 points in the Mini Max class. 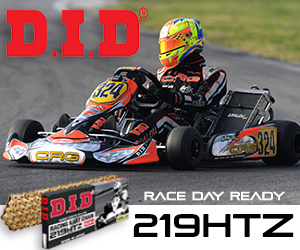 While in the Micro Max class Dustin Sandoval is leading with 1320 points, over Aiden O’Neill who is closely followed with 1280 points. As an extra incentive, the second place point’s holder of the Micro Max class will also be offered an invitation! More battles rage in the Molecule Karting Championship classes, the tightest class battle exists in the IAME TaG class where Maxx Marian holds a slim 10 net point lead over Bryson Guzman. Surprisingly, all three of the Shifter classes each have one driver solidly dominating driver at the top of the points! Tom Nelson sits atop the 80 Masters class followed by Roger Cornwall, Rob Mullaney and Geoff Provo. In Stock Honda Masters, Jim Kidd is leads the way steadily, followed by Jim Inglebright, Patrick O’Neill and David Arnstein. Peering over at the Pro Stock Honda class, Jason Toft is atop the point’s ladder followed by Nic LeDuc, Daniel Langon and Alex Keyes. Finally in the “electrifying” battle of the EVO Electric kart class, Marcos Ramirez hangs on with a small lead with a rigorously close fight for second place all between Zac Rubenson, Richard Hilleman and Jon Horsley. The weekend kick off with the Practice day on Saturday, which will also feature two Simraceway Arrive and Drive classes and the new EVO electric kart class. All other classes will be able to get in as many as 8 practice sessions during the day. Practice starts at 8:30 AM and runs till 6:00 PM. Registration will open bright and early at 7:30 AM. Practice is open to all drivers who have a kart that meets current karting safety specs and the drivers are up to normal racing speeds. Cost is $50. Race Director Ric Shaw has put together Notes to assist drivers prepare for the race.